The United States will begin collecting 25 percent tariffs on another $16 billion in Chinese goods on Aug. 23, the U.S. Trade Representative's office said on Tuesday as it published a final tariff list targeting 279 imported product lines. 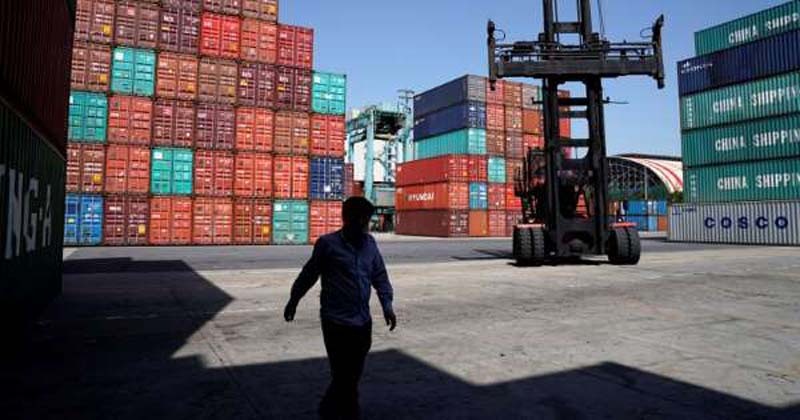 The action is the latest by U.S. President Donald Trump to put pressure on China to negotiate trade concessions after imposing tariffs on $34 billion in goods last month. China has vowed to retaliate to an equal degree. The latest $16 billion list will hit semiconductors from China, even though many of the basic chips in these products originate from the United States, Taiwan or South Korea. The 25 percent tariffs also will apply to a broad range of Chinese electronics, plastics, chemicals and railway equipment that the Office of the U.S. Trade Representative (USTR) has said benefit from the "Made in China 2025" industrial plan, aimed at making China competitive in high-technology industries. The Semiconductor Industry Association expressed disappointment at USTR's decision to keep the sector on the tariff list. [post_ads_2]"We have made the case to the administration, in the strongest possible terms, that tariffs imposed on semiconductors imported from China will hurt America’s chipmakers, not China’s, and will do nothing to stop China’s problematic and discriminatory trade practices," SIA President John Neuffer said in a statement. USTR removed a handful of items from its original list after a 46-day public comment and review period found they would cause "severe economic harm." These were intermodal shipping containers, floating docks, splitting and slicing machines used with wood, bone and hard plastics, extremely thin slicing tools known as microtomes, and alginic acid, derived from seaweed and used in pharmaceuticals, textile printing and dental impressions. The latest list brings the total Chinese imports that face a 25 percent tariff to about $50 billion in a rapidly escalating trade war that could eventually slap duties on all goods traded between the world's two largest economies. Trump has also threatened 25 percent tariffs on another $200 billion worth of Chinese goods, and possibly another $300 billion worth, in his administration's quest for changes to China's intellectual property, market access and industrial subsidy policies.